Andy Roesener of Franklin, Indiana formally announced his candidacy for Judge of the Johnson County Circuit Court on Monday May 15, 2017. The current Judge of the Johnson Circuit Court, K. Mark Loyd, has announced he will not seek re-election in 2018. In January 2015, Andy was appointed by Judge Loyd to his current position as Magistrate Judge of the Johnson County Juvenile and Family Court. Judge Roesener presently presides over a broad and diverse docket including child abuse and neglect cases and juvenile delinquency matters. Prior to accepting his current appointment, Judge Roesener operated a private law practice in Franklin focusing on litigation in both state and federal courts. Judge Roesener has twenty (20) years of prior legal experience which includes service as an attorney for the Indiana Legislative Services Agency, where his work was primarily focused on drafting legislation and providing legal counsel to the Indiana Senate and Indiana House of Representatives. Additionally, Judge Roesener worked as Associate Counsel for the Indiana House Republican Caucus under Speaker of the House Brian Bosma. In this role he analyzed proposed legislation and provided legal counsel to the Indiana House Republican Caucus. Judge Roesener has also served as a deputy prosecuting attorney in both Marion and Johnson counties and as legal counsel for the City of Franklin’s Police Merit Commission. 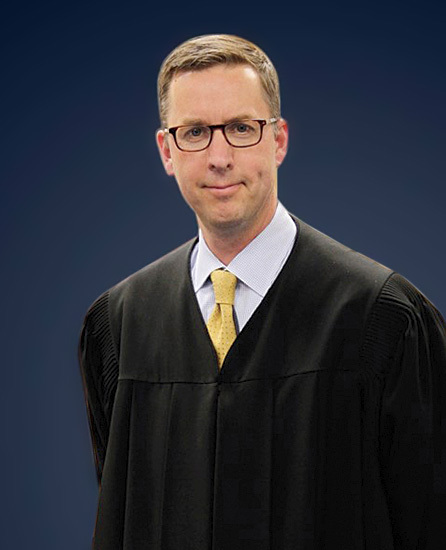 Judge Roesener graduated from Franklin College with a Bachelor of Arts degree in political science and obtained his Juris Doctor Degree from Drake University (with honors) in 1997. He is married to Asha Roesener, a graduate of the Ohio State University, who works as a quality assurance representative for Elanco. The Roeseners have lived in Johnson County for twenty years, where they chose to start their family which includes two daughters, Mary age fifteen, a Freshman at Roncalli Catholic High School, and Lucy age thirteen, a seventh grader at St. Rose of Lima Catholic School. The Roeseners are active and longstanding members of the St. Rose of Lima Catholic Church in Franklin, Indiana.